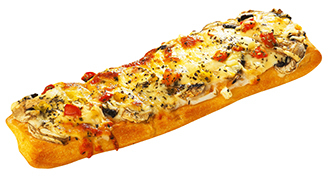 Zapiekanka: A long toasted baguette usually with cheese and mushroom. You can get it from many street vendors. 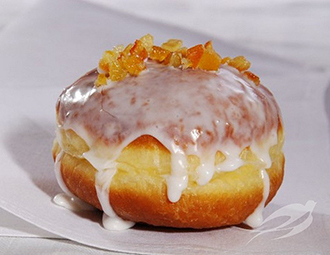 Paczek: The best tasting jam donut you will ever have. Pierogi: All time favourite with Polish people. 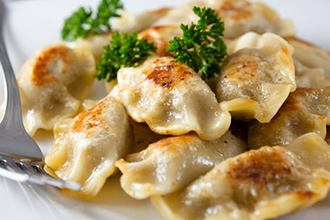 These are dumplings that can be filled either with cheese (commonly called ruskie – which stands for Russian) or meat or cabbage and mushroom. Many bars and restaurants will have them. 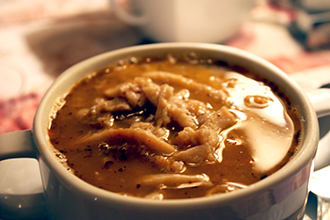 Flak: For those daring enough, order yourself a Tripe Soup. Great for lunch. 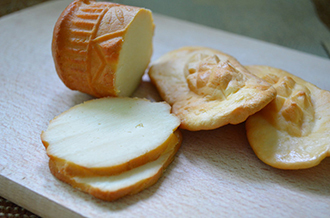 Oscypki: If you get a chance to wonder into the southern region of Poland (Highlands), you will encounter street vendors selling ëoscypkií which stands for a smoke sheep milk cheese. Delicious. HaloumiÖeat your heart out. Fr Andrzej Kolaczkowski SChr is the Parish Priest for Our Lady of Victories Parish and Polish Pastoral Centre in Bowen Hills.